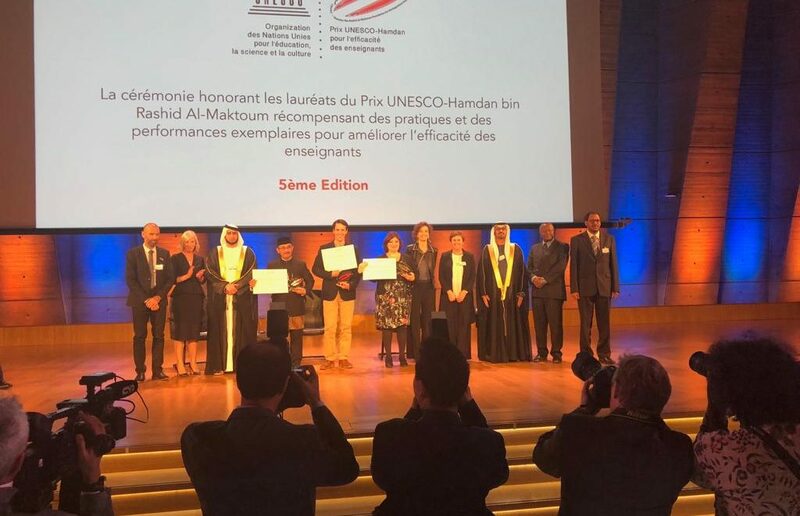 The UNESCO-Hamdan bin Rashid Al-Maktoum Prize was created to support the improvement of teaching and learning quality in achieving the Education for All goals, which is one of UNESCO’s priorities. 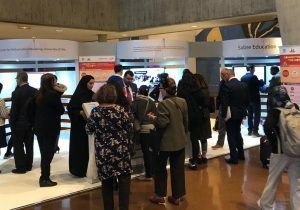 The Prize, which is supported by His Highness Sheikh Hamdan Bin Rashid Al-Maktoum, was awarded to three projects from Chile, Indonesia and the UK. 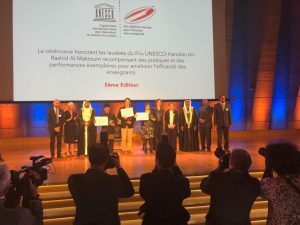 The winners were honoured at an award presentation ceremony at the UNESCO headquarters in Paris on World Teachers’ Day (5 October 2018). 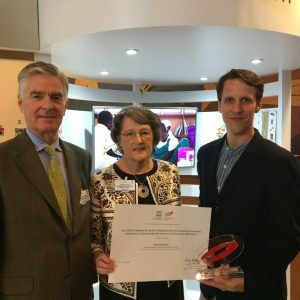 We were awarded the prize for our Fast-track Transformational Teacher Training Programme: a teacher training approach, which is drawn directly from Ghana’s government strategy and is a critical part of the country’s efforts to meet Sustainable Development Goal 4 with respect to the provision of quality early childhood education. Mrs Margaret Okai, Acting Director for Basic Education, Ghana Education Service, explains that in 2012 Ghana put in place a plan to scale up quality kindergarten education. 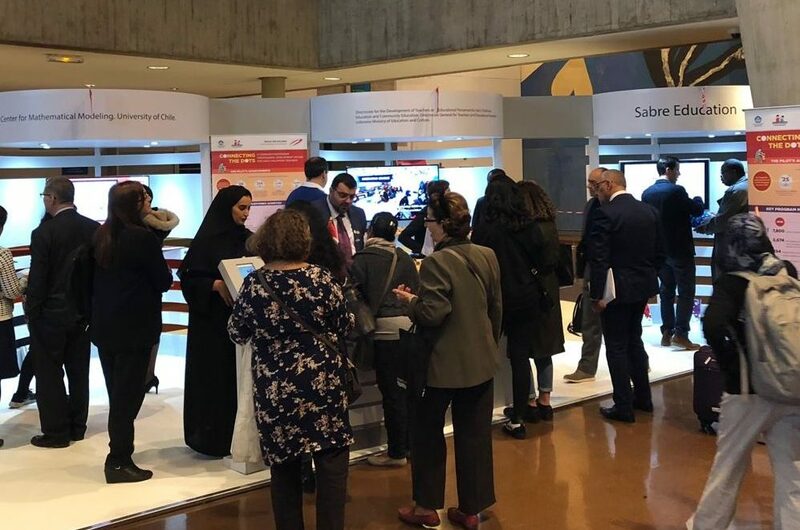 However, the education authorities soon realized that one of the country’s weaknesses laid in the absence of a qualified workforce to teach at that level. 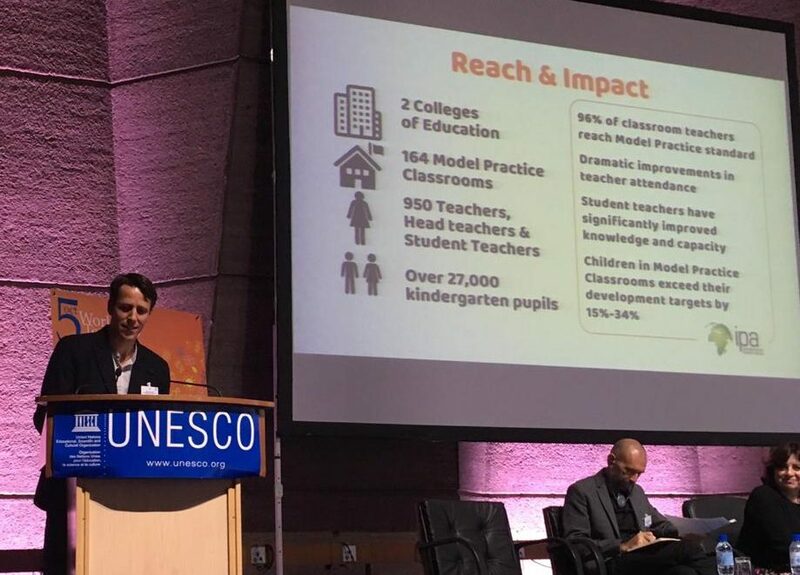 Ghana Education Service partnered with Colleges of Education, namely OLA and Holy Child Colleges of Education, and Sabre Education to implement the Fast-track Transformational Teacher Training Programme, in the Central and Western regions of Ghana. Practicing classroom teachers receive support through the training to implement the Government’s new child-centred, active and play-based kindergarten methodology. Teachers support children to develop the five C’s (Confidence, Communication, Cooperation, Curiosity, Concentration) as the foundation of 21st Century Skills, early grade literacy, numeracy and creativity, in a child-friendly and non-threatening learning environment. Student teachers are exposed to best practices, giving them the confidence and capacity to enact the teaching methodology as newly qualified teachers. 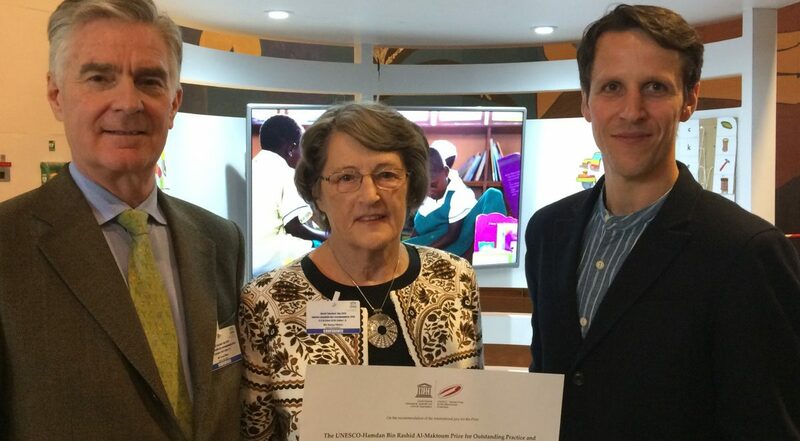 “The methodology has had a positive impact on both the teachers and the pupils. Teachers perform excellently in the classroom. The children are happy […] and interact with each other,” says Sister Agnes Gyimah, Head Teacher of OLA Kindergarten Centre of Excellence. Grace Owusu, a student teacher at OLA College of Education, explains that through the programme she has learned how to manage her students’ behaviour in the classroom better. Sister Elizabeth Amoako-Arhen, Principal of OLA College of Education, adds that students who have gone through the programme before their deployment stand out and often serve as trainers for various workshops, organized by District Education Directors, to train teachers who have not had access to this opportunity. 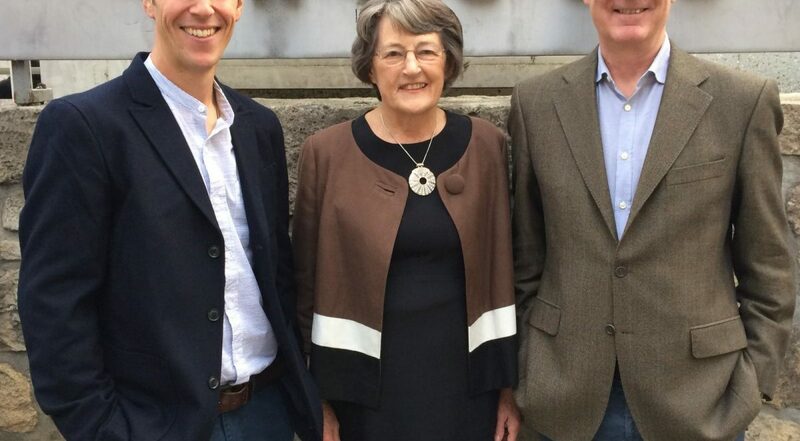 “Having gone through this programme for the last five or six years, I strongly feel that every early childhood college [of education] should be exposed to it”. This sentiment is echoed by Mr Saeed B. Daud, Head Teacher, Ghana Education Service, who states that since he has “seen the impact on the pupils and the teachers, I will recommend it to colleague head teachers who have not benefitted from this”. Since 2013, the Fast-track Transformational Teacher Training Programme has trained 21 tutors as master trainers from OLA and Holy Child Colleges of Education, who in turn delivered training to 950 teachers, head teachers and student teachers. The programme has also provided training to 60 Ghana Education Service Officers to support and monitor these teachers in their classrooms. As a result, more than 27,000 children in Ghana have had a chance at a better quality early childhood education. 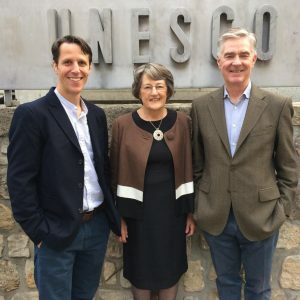 Our CEO Dominic said he hopes that the UNESCO-Hamdan prize will enable Sabre Education to “fund the expansion of the programme to a national network of colleges to foster networks of high quality classroom practices in government kindergarten schools”. A hope echoed by Mrs Margaret Okai, Acting Director for Basic Education, Ghana Education Service. 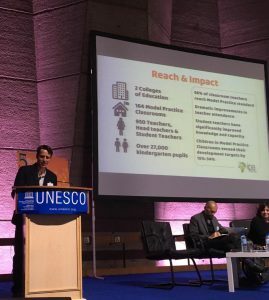 The UNESCO-Hamdan Bin Rashid Al-Maktoum Prize for Outstanding Practice and Performance in Enhancing the Effectiveness of Teachers is awarded every two years to projects that have made outstanding contributions to improving the quality of teaching and learning, especially in developing countries or within marginalized or disadvantaged communities. The Prize was established in 2009, with funding from His Highness Sheikh Hamdan bin Rashid Al-Maktoum. Each winner receives US$ 100,000.